A major way that the war about women working has been fought has been about its impact on children. An argument is made and a pervasive feeling persists that children are better off if their mothers are at home caring for them. Stay at home mothers take pride in that belief while it is also the source of guilt for many working mothers. Many contemporary social problems have been discussed in these terms. Since the advent of the modern women’s movement when women increasingly began working outside the home, various writers have advanced arguments that children are not disadvantaged in any way if their mothers work. Now, a new study by the Harvard Business School sets out to demonstrate that in fact, children of working mothers actually benefit. A neighbor, knowing of my interest in the subject stopped me in a grocery store to ask me if I had read an article in the newspaper about this study because he wanted my opinion. He seemed quite emotional about it saying he didn’t see how children could be better off without their mother’s care. You never know at birth what abilities or talents a child may have and it is the mother who will see that and develop it. He told me that he had not wanted his wife to work after they had children. Laughing at himself a little, he said he wanted her home because his mother had been home with him. His comments are interesting because they embody the feelings and ideas that have shaped much of the thinking about this subject. The way people have been raised themselves have a great deal to do with how they want to raise their children. Those who have positive memories about their childhoods often want to repeat their own childhood experiences. Those who had negative experiences – especially if they felt oppressed by their mothers – might be drawn to a different way of doing things. In the larger culture, however, ideas about children and mothers have been shaped by a variety of factors. When the Industrial Revolution changed the nature of the workplace, men were the ones who went out to work while women were left with the job of child care and homemaking. Gradually, the child study movement grew out of that fact, which then evolved into child development research and changing ideas about the needs and care of children. During the Second World War, when men were needed for military service, women began to fill the available factory and other jobs. When the war ended, the focus shifted to home and family while at the same time the returning men needed employment so women went back to the home. During that period many studies had been done in England about the negative impact on children who had been separated from their mothers during the war. Also, with the rise of psychoanalytic theory, increasingly the focus became the early years of life. 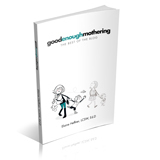 Since at that time mothers were the primary caregivers, everything about children’s development was pointed at the mother. The focus became the mother, rather than the need for nurture, and has remained the basis for much of both the positive and negative ideas about the role of mother. Unfortunately, this current study in its own way perpetuates the “which way is better” approach. The study demonstrates that daughters of working mothers completed more years of education, had more important jobs with higher incomes. Sons in turn spend more time on child care and housework and the result is to help reduce gender inequalities. Also, children whose mothers worked when they were young had no major learning problems, were high achievers in school, and had less depression and anxiety. The question not addressed, is what kind of child care did these children have? Enough is understood about children’s development to know that the question of whether children are better or worse off if their mothers work outside the home is not the issue. The reality is that nearly three-quarters of American mothers are employed and as yet the larger question of good child care has not been addressed in a meaningful way. Many mothers do not have the luxury of deciding which way their children would be better off. And most women have come to understand that there are trade-offs either way. Our goal should be to make sure that children are well cared for instead of continuing the argument about which is the better way.